바르셀로나, 스페인의 호텔 비아 아우구스타 | 호스텔월드에서 예약하세요. Located in one of the city's most prestigious areas, the Hotel Via Augusta will delight you with its modern comforts and friendly atmosphere. Relax in our lounge or enjoy the splendid view from our rooftop terrace. Close to popular tourist sites such as Casa Milà, Sagrada Família, Park Guell, Casa Batlló and the numerous shops and restaurants on La Rambla...explore the treasures of Barcelona. 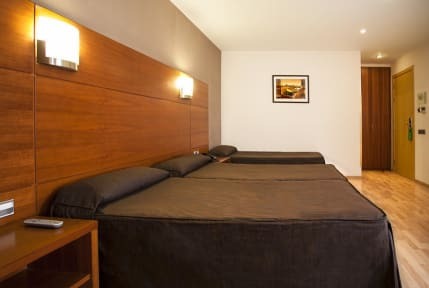 Hotel Via Augusta is also an ideal hotel for those who come to see the Barca (FC-Barcelone). Our attractive and spacious rooms offer a peaceful setting for a quiet night's sleep. Bright and inviting colours combine with modern furnishings to create a comfortable environment, ideal for relaxation between sightseeing excursions or business meetings.